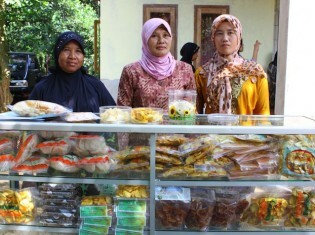 When 45-year-old Kaswati joined an income-generating project in her village in Indonesia’s West Java province in 1999, all she hoped to do was supplement her family’s income at a time of erratic harvests. Christina E. is a mother of three who lives in an apartment building in an upscale neighbourhood in Paris. As someone who prepares meals daily, she wishes she had a place besides her household garbage bin where she could put biodegradable waste. Over 30 small and medium-sized municipalities in Argentina are jointly developing policies for climate change adaptation and mitigation. The idea is to raise awareness and work together to help these communities cope with a global problem, say the promoters of the initiative.